Defend the honor of your Emperor by throwing a party for the penguin hordes! 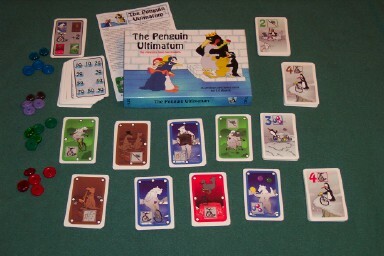 In this card-laying boxed game, players invite penguins to enjoy themselves in front of juggling sheep and acrobatic kangaroos. Can you bring the most amusement to the flightless masses?